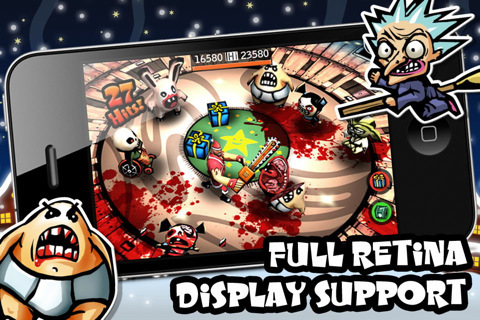 MADFINGER Games developer of critically acclaimed games: Samurai: Way of the Warrior' and 'Samurai II: Vengeance is introducing the release of their new product BloodyXmas 2010 for Apple consumers. 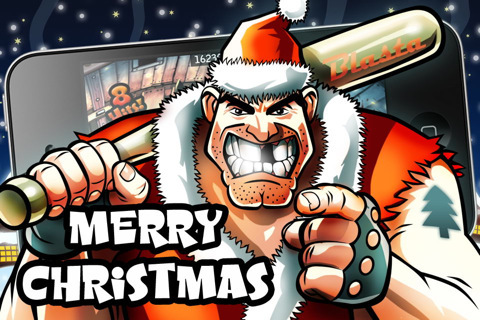 BloodyXmas 2010 is an innovative 3D survival hack and slash game containing gorgeous cell-shaded 3D graphics and intuitive control scheme, to protect Christmas presents against hordes of zombies, skeletons, witches and other monsters. BloodyXmas is all about protecting Christmas presents in Santa's workshop. You play as Santa with a simple control scheme. In Santa's workshop there are several weapons available that you can use: cleaver, saber, sledgehammer, chainsaw, and one massive secret super weapon. The more presents you have, the more points you will get. Don't let anyone steal the children's presents! 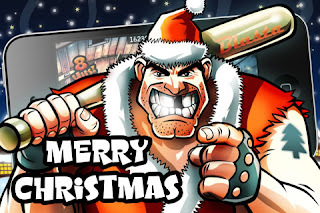 BloodyXmas 2010 is only $0.99 (USD) and available worldwide exclusively through the App Store in the Games category.